Speed and agility are vital for any player to be successful in basketball. Training techniques like those shown in this video are what carved the fundamental skills that players like Allen Iverson and LeBron James use everytime they come up against an opponent. The agility and speed of your players is what determines whether they take the ball to the hoop, or have the ball taken from them. Share this with your friends and team mates! A special thanks goes out to Coach Ido Singer for producing such a quality instructional video. 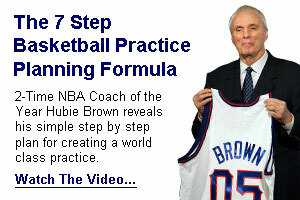 If you liked this video, check out more videos by Coach Ido Singer at his website www.IdoBasketball.com or his YouTube Channel www.youtube.com/user/idolb8!